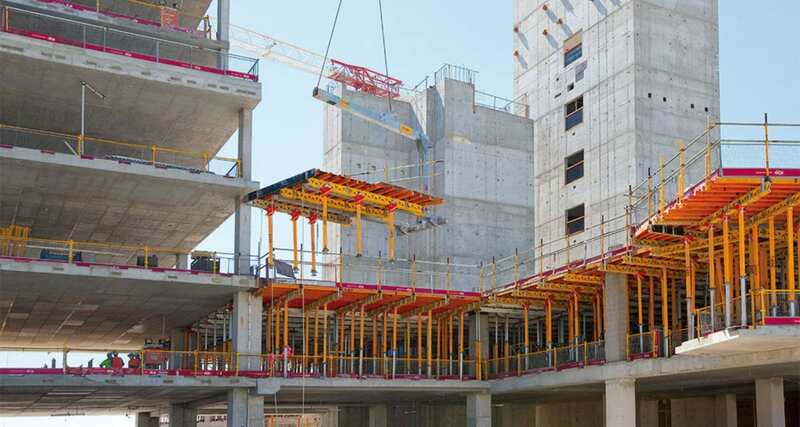 Our building service includes all facets of modular formwork systems, including wall formwork, column formwork and falsework. Complemented with the reinforcement placement, post tensioning, concrete pumping and placement. Our expertise in formwork, including slipforming, and slab engineering, along with our end-to-end capability and our capacity to develop smarter solutions, means that we are able to offer a one stop solution for customers.